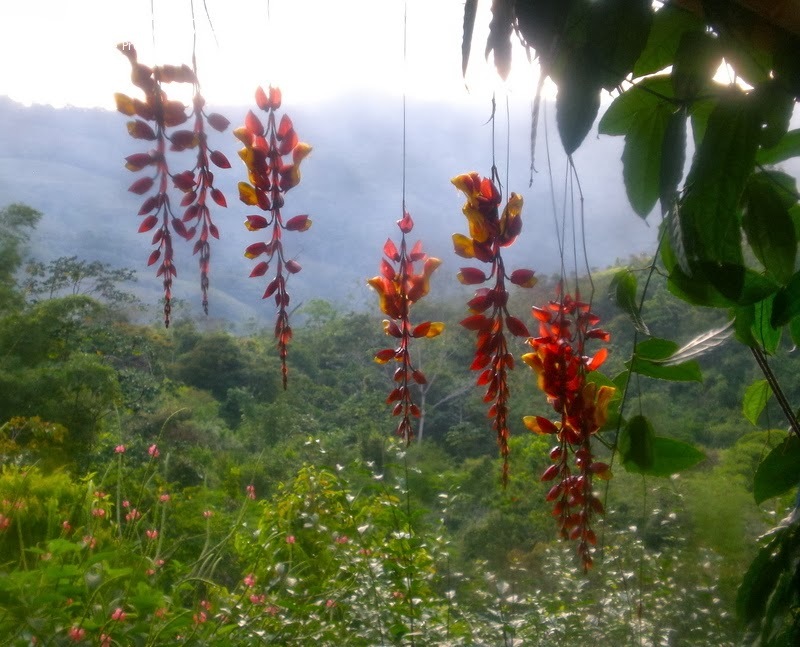 There is no doubt that Thunbergia mysorensis is an absolute show stopper no matter where it is grow. Unfortunately, due to its tropical origins it does mean that it cannot be grow outside all year round although it will be perfectly happy outside during the warmer months of the year. This just means that if you want to continue growing it you will need to bring it into a temperature controlled, protective environment. Simply put, it will need to be brought is and treated as a house plant, albeit a very fancy one. Commonly known as the 'Indian clock vine', it is a native to the tropical regions of southern India. However, you may be surprised to find that it has managed to naturalize in countries just north of the Mediterranean sea! This tolerance to cooler climates is due to its preferred natural environment being found at elevations reaching 900 metres. If grown outdoors, Thunbergia mysorensis will tolerate full sun to half shade in the hottest part of the garden, but it will need to be in an open position. It will require a rich, well-draining soil, and as it comes from a tropical monsoon climate, it will require ample watering over the summer. However it will need a dryer, cooler winter in order to encourage it to flower freely. 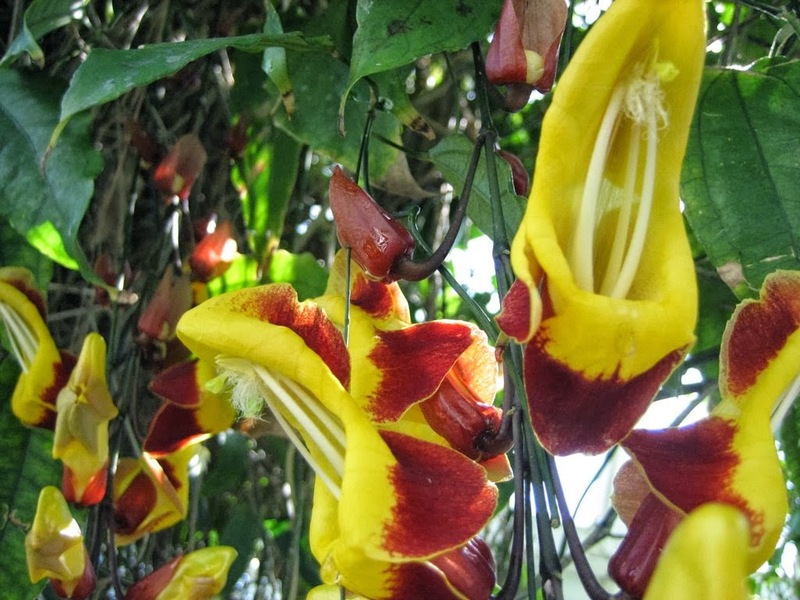 Be aware that for Thunbergia mysorensis to produce the huge amount of both flowers and nectar it will require a regular feed with a liquid soluble fertiliser. If you are growing Thunbergia mysorensis under glass then use a loam-based potting compost in bright filtered light with shade from hot sun. 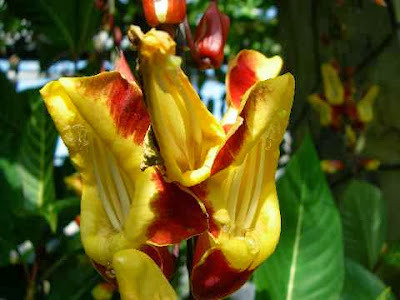 Thunbergia mysorensis is generally pest and disease free, but if it is grown under glass it can become susceptible to Spider mites, whiteflies and scale insects. These can cause the leaves to become discoloured and fall off and can also cause damage the flowers. Inspect the plant regularly and remove any damaged parts.